120,000 people depend on heavy rainfall emergency shelters. Twelve provinces are affected in Iran. The death toll from the flood disaster in Iran has risen to at least 23. That was said on Wednesday by the head of the rescue service to the state broadcaster IRIB when about four more deaths in the north, west, and southwest of the country were known. According to Kuliwand, 240 people were injured in the floods, 20 of them were seriously injured. According to the news agency Tasnim, there are also four missing persons in northern Iran. Also, More than 120,000 people in the flood areas had to evict their homes and be put up in emergency shelters. the exact number of deaths in order not to cause panic in the country during the Persian New Year holiday. 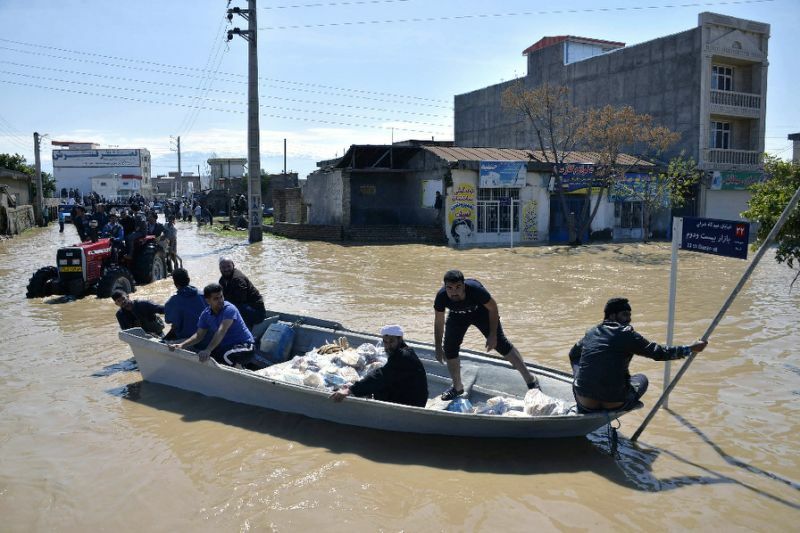 Many Iranians are traveling because of the New Year holiday – even in the flood plains – and can not return to their cities because of the floods until further notice. Nationwide, several roads are closed, many domestic flights have been canceled and also the train traffic in some provinces is disturbed by the flood. The government has called the highest alert in at least twelve provinces, including the capital Tehran. The worst situation is still in Shiraz, the capital of the southern province of Fars. There were 19 people killed so far. Videos on social media show how even how trucks are washed away by the flood.